Help the fast and furious crew to continue their global high speed exploits in the unstoppable franchise built on speed! You call the shots as you lead the team on their crusade with vehicles featuring styling cues directly from the movie! 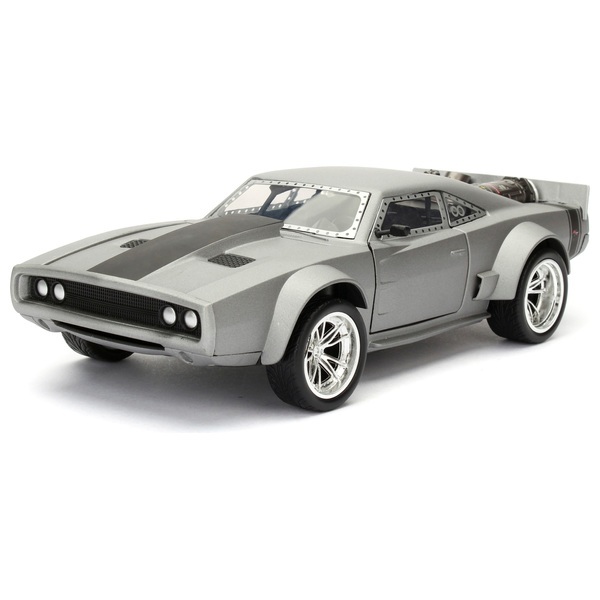 This 1:24 scale model of Dom’s Dodge Ice Charger with an airplane engine features details from the movie moulded in high quality die-cast.